Get the VIP treatment with priority entry to the restaurant! You must visit on the date you specify when making your booking. 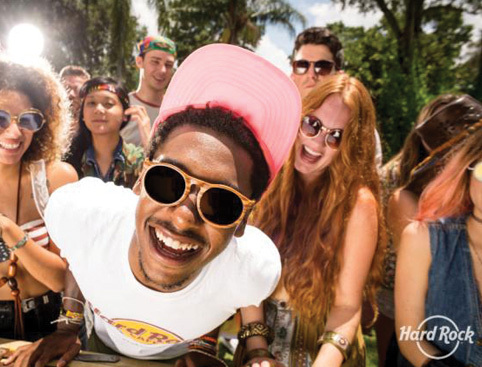 Don’t miss: Getting VIP entry, Rock Star style! Dine like a rock star in one of the coolest cities in the world! 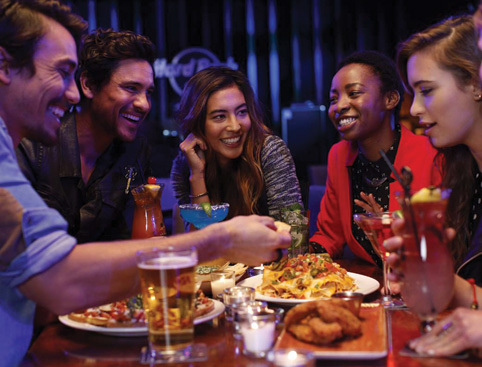 The Hard Rock Cafe Amsterdam is the perfect place to kick off an unforgettable night. Located minutes from the Leidesplein entertainment area, Hard Rock Amsterdam is in the centre of all the action, next to Paradiso live music venue and the famous Holland Casino! It’s also in easy walking distance to the Rijks Museum, Van Gogh Museum, Stedelijk Museum and the Heineken Experience. 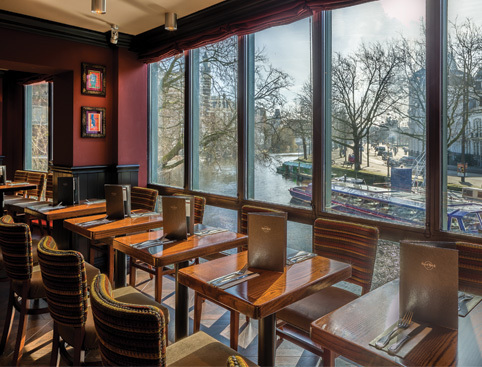 As well as world-famous cuisine and award-winning speciality cocktails, you’ll be surrounded by amazing memorabilia from rock 'n' roll legends like Jimi Hendrix, Elvis Presley and The Rolling Stones – plus 8 music video screens and an unbelievable sound system! You can even take a virtual tour all of the 181 Hard Rock venues around the world on the Rock Wall™ Solo, an interactive touch wall that brings the world’s greatest rock ‘n’ roll memorabilia collection to life. 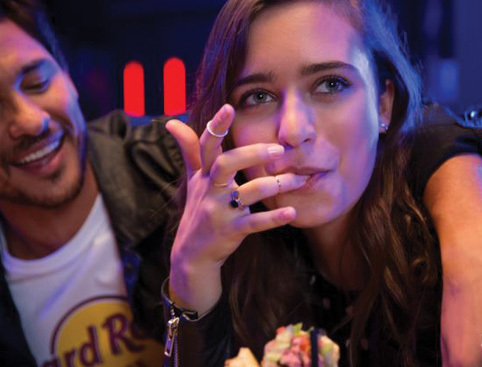 Hard Rock Amsterdam is somewhere you won’t want to leave in a hurry; with a waterside bar area, a late-night lounge and the Amsterdam Rock Shop, you’re guaranteed an experience that Rocks! These menus are recommended for adults and children over the age of 10. A kids’ menu for children aged 10 and under is available at the restaurant. You may order from and pay for this separately during your visit. Important: This ticket is not valid on the evenings of special occasions such as Christmas Eve, Christmas Day, New Year’s and Valentine’s Day. Come as you are - we accommodate everything from black tie to black leather! This ticket allows you exclusive front-of-line access to the restaurant – however please bear in mind that there may be a short wait for a table. 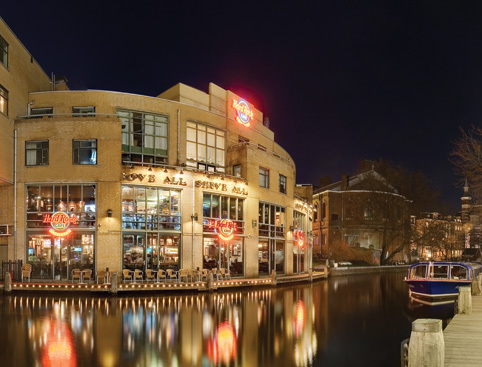 The Hard Rock Cafe Amsterdam is located on Max Euweplein, a 2-minute walk from Leidesplein entertainment area! It’s also right next to Paradiso live music venue and the famous Holland Casino, and within walking distance from Rijks Museum, Van Gogh Museum and the Heineken Experience.